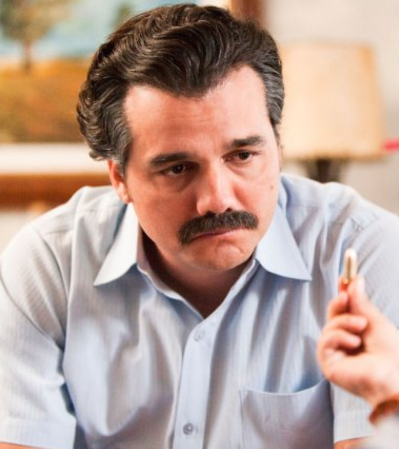 Roberto de Jesus, Sue Netflix For $1 Billion Over 'Narcos', Threatens To "Close Their Show"
Pablo Escobar's 71-year-old brother, Roberto de Jesus Escobar Gaviria, is suing Netflix for $1 billion over the popular series "Narcos" which dramatised Pablos Escobar, the Colombian drug kingpin. iria, suggested the show's producers are not cut out for filming in such cartel-infested locales as Mexico and Colombia. He went on to threaten them by adding that they would benefit from the hiring of "hitmen as security". He also threatened to "close their little show" if the streaming giant failed to provide a $1 billion payment to his company, Escobar Inc., for intellectual property violations. Speaking to the Hollywood Reporter from his home in Colombia, Gaviria said: "I don't want Netflix or any other film production company to film any movies in Medellin or Colombia that relates to me or my brother Pablo without authorization from Escobar Inc. It is very dangerous. Especially without our blessing. This is my country." Referencing his legal battle against the streaming platform, he said: "Netflix are scared. They sent us a long letter to threaten us. Right now, we are in discussions… to obtain our $1 billion payment. If we don't receive it, we will close their little show." Amidst the threats, Carlos Munoz Portal, a Narcos location scout, was shot dead on the job in the rural region north of Mexico City on Sept. 11. A lot of people believe his death might be related to the threats and the $1 billion lawsuit from Escobar Inc.
Last July, Gaviria spoke about the $1 billion demand and doubted the show, which has already been renewed for a fourth season, would even have a second season. Speaking about Netflix in July of 2016, Pablo's brother said: "A billion is what we used to make in a good week in the 1980s and 1990s. Apparently money is now growing on trees in favor of Netflix after my show was released. They should pay me immediately. "First of all, this man is Brazilian and not Colombian. Tell me about this man, what has he done? Does he have any real experience in acting? Does he have any real experience in making cocaine transactions? Has he laundered billions of dollars? Or is he sucking on his thumb and drinking his mother’s breast milk to this date. I believe it is the latter." "I don't think that there will be any second season in September of this year. My mother once told me when I was young, to always listen to the older men in Medellin, Colombia. Now I am old, and if they don’t listen to me, I will be sure to be heard. 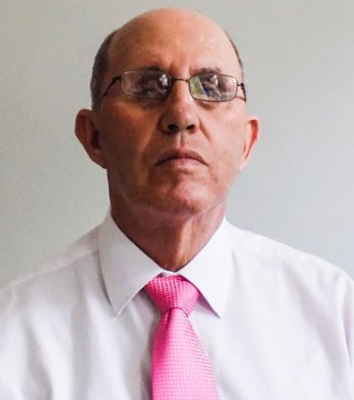 Not only will my voice be heard, I will be compensated fairly," he said via Escobar Inc. COO Daniel D. Reitberg. Lawyers for Narcos Productions, LLC, the company behind the Netflix series and the video game spinoff "Narcos: Cartel Wars," wrote a letter claiming Gaviria attempted to register trademarks in August 2016 for "Narcos" and "Cartel Wars" for a range of goods and services. In the letter, Narcos Productions LLC lawyer Jill M. Pietrini, wrote: "For example. 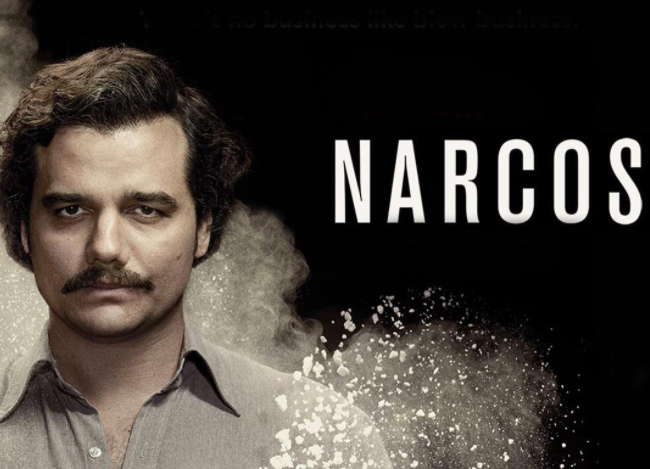 Escobar (Inc.) claims that it has used 'Narcos' in connection with things like 'operating a website' and 'game services provided online from a computer network' since Jan. 31, 1986. However, the internet had not been developed for widespread consumer use in 1986, nor was the capability to provide audiovisual works nor game services available at that time." Still, Roberto de Jesus Escobar Gaviria means business. He told Hollywood Reporter: "I don't play around with these people in Silicon Valley. They have their phones and nice products. But they don't know life and would never dare to survive in the jungle of Medellin or Colombia. I have done that."